Advanced Health Blog How Common is Irritable Bowel Syndrome? Irritable Bowel Syndrome (IBS) is something we’ve all heard about and chances are you’ve known several people who suffer from it. We all kind of get the general idea, but what are the actual symptoms and just how common is irritable bowel syndrome? Many people can suffer from symptoms of IBS and never see the pattern or put the dots together. It’s not an illness that is always present, as it can be triggered or aggravated by different things. Here’s a guide to what it’s like to have IBS, possible triggers, and how to improve or manage it for a happier, healthier lifestyle. IBS is a very common digestive disorder affecting around 55 million Americans—with a high percentage being women. It is not life-threatening, but can be extremely uncomfortable and disabling. IBS is a functional health problem, meaning that your digestive system just doesn’t work properly. The pain and discomfort can get so bad that it can triple the likelihood of missing work or school. IBS can also make you more susceptible to other Gastrointestinal (GI) conditions like inflammatory bowel disease, thyroid disorder, or colon cancer since it can be associated with nutrient deficiencies and toxin overload which compromise the immune system. IBS is associated with a hypersensitive colon where a person develops abdominal pain and irregular bowel habits which often switch between diarrhea and constipation. Other common symptoms of irritable bowel syndrome include: heartburn, excess gas, bloating, cramping, intolerance to certain foods, and urinary or sexual issues. IBS is triggered by certain foods, medications, stress, and/or hormonal imbalances. To effectively treat IBS, we need to first understand the root cause of the gut sensitivity. Every case is unique because there are so many factors involved. In order to come up with a personalized treatment plan, you will need to examine your history, perform a physical exam, and run through a few diagnostic lab tests. Although it can be hard to pinpoint, your IBS can be caused by a few key triggers. 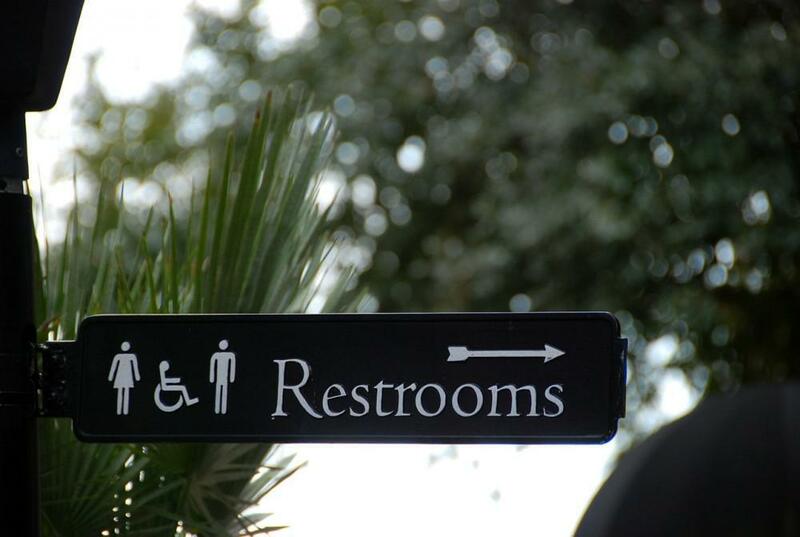 IBS can seriously affect your daily quality of life. Many people just kind of put up with it, but you don’t have to! There are many things you can do to reduce your symptoms and improve your comfort, health, and well-being. It can be hard to diagnose IBS because of the varying range of symptoms and how they are experienced by different people. Symptoms of IBS may come and go, which is why some people never consider the possibility that they have a chronic illness. Some people primarily experience diarrhea, while others suffer more from constipation, but there is also a lot of alternation between the two. IBS can also be a symptom for another underlying condition. Although there is no cure for IBS, it is possible to manage, reduce, or eliminate symptoms by making dietary and lifestyle changes. In general, people with irritable bowel syndrome can reduce symptoms and improve their discomfort by exercising more, drinking plenty of water, avoiding sugary carbonated drinks, eating more plant-based fibrous food, and having smaller meals. Since people’s bodies react differently to different foods, it’s important that you figure out which foods cause or aggravate your symptoms so that you can avoid them. Foods that can aggravate IBS-related constipation include: processed food, coffee, sugary carbonated drinks, alcohol, dairy (especially cheese), breads, cereals, and wheat. Diets that are high in animal protein (i.e., eggs, poultry, red meat, seafood) can also make the constipation worse. IBS-related diarrhea can be worsened by eating too much insoluble fiber, fried and fatty foods, dairy, large meals, carbonated drinks, chocolate, coffee, alcohol, sugar, and wheat. To improve IBS symptoms, boost your plant-based fiber intake, drink more water, and become active. For example, try adding whole grains like quinoa, buckwheat, millet, and barley into your diet with a mix of beans (i.e., lentils, black beans, split peas) and lots of green vegetables. Try to stay clear of wheat and refined flours as much as possible. Be mindful that vegetables like broccoli, brussel sprouts, onions, and cabbage may trigger gas pains since they take a great deal of digestive energy to metabolize and hence, need to be cooked well. On the other hand, adding digestive spices like ginger and turmeric can counteract the gassy effects of certain beans and vegetables. Gradually increase your intake of large beans, especially kidney beans, chickpeas, and navy beans since they may be too difficult to digest early on. Dry beans often need to be soaked overnight for easy cooking and digestion. Try to eat smaller meals, incorporating a moderate amount of leafy greens in your diet, drinking warm water an hour before or after meals rather than during them, and avoid eating some of the trigger items listed above. Other triggers that can aggravate symptoms of IBS include eating too quickly and eating while working or driving. It may sound trivial, but avoid distractions while you eat and chew well. Recent research has also suggested that taking a non-dairy probiotic supplement can increase the amount of good bacteria in the digestive system and reduce general symptoms of IBS. Since women are more likely to have IBS than men and experience worse symptoms during their menstrual periods. Research has shown that since IBS is directly tied to liver health and the liver is in control of hormone metabolism, IBS will worsen with hormonal shifts. Whether experienced physically or mentally, people with IBS can often be triggered by increased stress and anxiety in their life. Because not many people are aware that stress and anxiety can worsen IBS symptoms, it is often missed as a trigger and or sign of illness. Pay attention to your stress levels in conjunction with your IBS symptoms and try to identify particular parts of your lifestyle that have contributed to that stress. To reduce stress, try exercising more and incorporating mindfulness, meditation, or yoga into your routine. Exercise helps decrease the level of cortisol, the stress hormone, in our bodies, while increasing the production of serotonin and dopamine, the happy hormones. You can also try some of these other integrative medicine techniques for reducing anxiety. If you think you are experiencing symptoms of IBS, visit an integrative functional medicine physician, like Dr. Bhandari. A personalized treatment plan will drives quick and effective positive results. Dr. Bhandari specializes in the immune system and the digestive system and how they are tied to chronic illness. She will guide you through how your symptoms can be directly impacted by your lifestyle and other environmental factors. Healthy living for patients is dear to Dr. Bhandari’s heart. She loves to help people take back control of their health through simple tips we can each be empowered by.